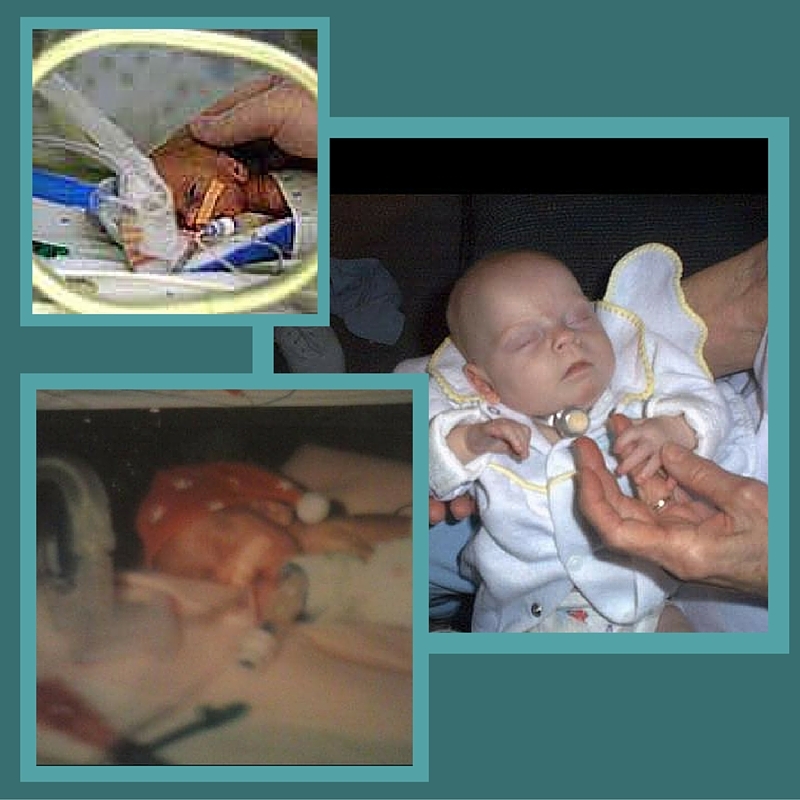 Welcome to Micro Preemie Monday! Today we meet Annie, as told by her Mom, Rosie. 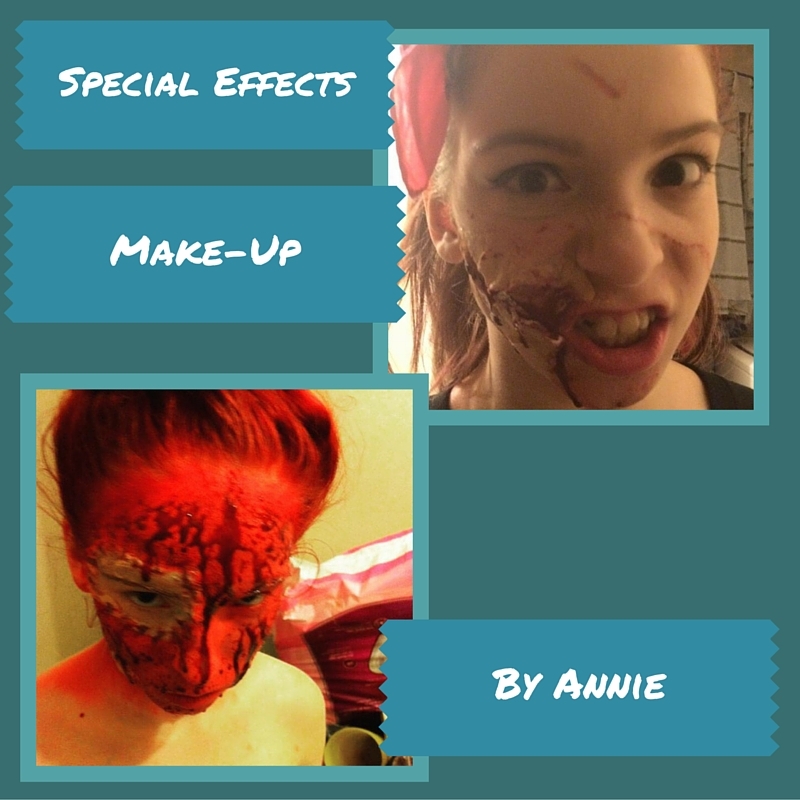 Annie has defied Doctor’s predictions, and is a very talented young lady. Let’s meet her. Annie was born at 24 weeks, weighing 394 grams 11 inches long. The total hospital stay was 8 months, with a one week discharge and straight back for 2 months. For me, the hardest part was so many different things. There wasn’t just one thing that was hard. The first time I saw her. The not being able to see her because they were working on another baby. Her coding blue while I’m watching her and not knowing what the outcome would be. Not being able to hold her for months or touch her for months, just sit there and stare into the porthole of the incubator. We were told if she lived past birth, she would not walk, talk, sit, crawl, stand, or walk. She would just be a baby laying there. She proved that doctor wrong on more than one occasion! To this day no one can tell me why or what happened. I had an ultrasound 12 days prior to her emergency delivery and everything was fine. All of a sudden she was living in no fluid and has lost weight to what a 22 week fetus would weigh, but no one has answers. 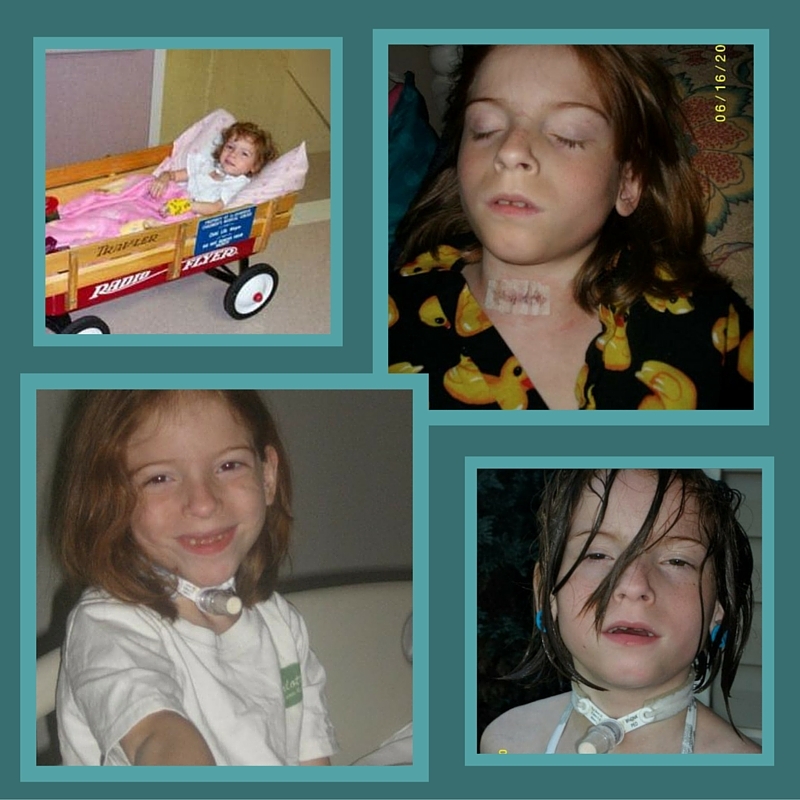 Annie had to end up having a tracheotomy and a feeding tube and was diagnosed with SGA (Small for Gestational Age,) FTT (Failure to Thrive,) RSS (Russell Silvers Syndrome, a growth disorder) CLD (Chronic Lung Disease,) paralyzed Vocal Cords, Scoliosis, and Spinal Bifida Occulta. She had 27 surgeries and 48 hospital admits (not including over night stays.) That is just the number of how many times they’ve put a band on her wrist and admitted her overnight . 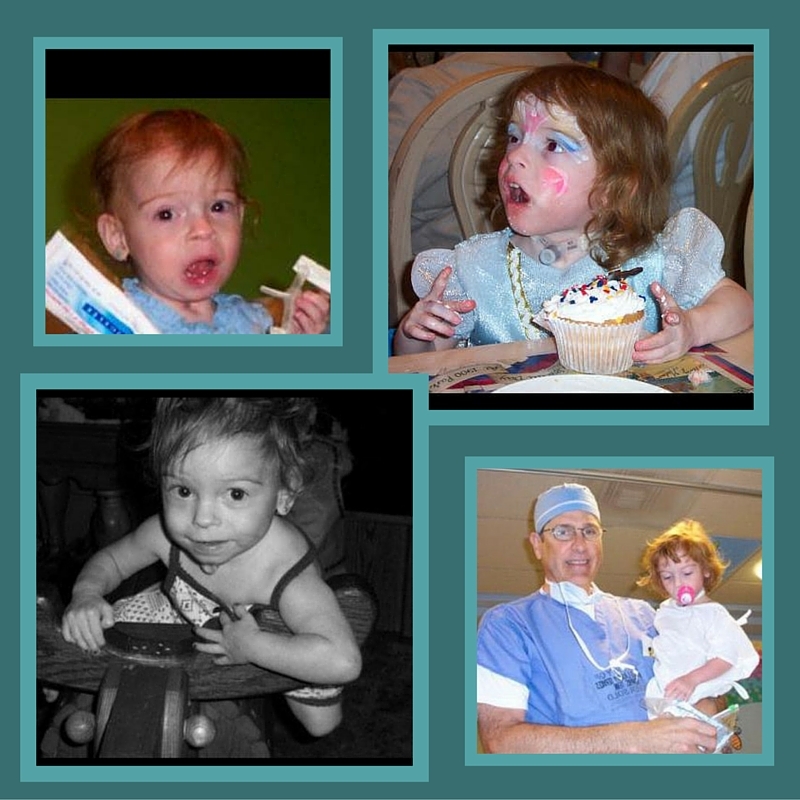 All of her surgeries were based on her airway, except for 5, and they were based on her stomach. As for how we are doing now, my daughter turned 14 in June. She’s tiny, spunky, a firecracker, and has a temper from hades. She’s doing everything every doctor said she wouldn’t do, and I’ve become the proudest mom on earth watching her over achieve. She’s free from all tubes only needs O2 when she exercises or has been running. Like for instance, she was a competitive cheerleader (flyer) and they do rigorous routines, and she would need the O2 after performing for about 10 minutes. Then, she was good to go! 5. What advice would you give to new preemie parents. My advise for families of micro preemies is that this is the time that your kids and grand children need you the most. Be there for them. If it’s just to drop food off or if your micro preemie grandchild scares you or your micro preemie niece and or nephew scares you, think what the heck is going on in the mind of you brother or sister or your child’s head right now. Don’t walk away from them when they need you the most. Thank you so much to Rosie for sharing Annie with us, and to Annie for sharing her amazing artwork and make-up work. I can see why Rosie is one proud mom! Very inspirarional story! You think oh my gosh poor little girl…but then you see how well she is doing and it just makes your heart happy! 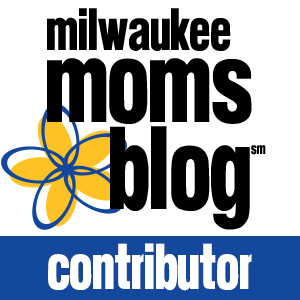 Thanks to the mom for sharing their story as I am sure it will be inspiring to others! Love this! My cousin is a flyer for a competitive team and even she needs oxygen after competing! Cheerleading is a hard sport and I love that she gets to participate. I love reading these stories. Pregnancy and child birth is such a scary time and knowing that so many people have faced hardships and come out on the other side is so comforting! Such an amazing story! Way to go Annie on beating all the odds that the doctors said you would never be able to do. Amazing job on the art work and special effects makeup! Thank You for sharing her story. Awesome story! 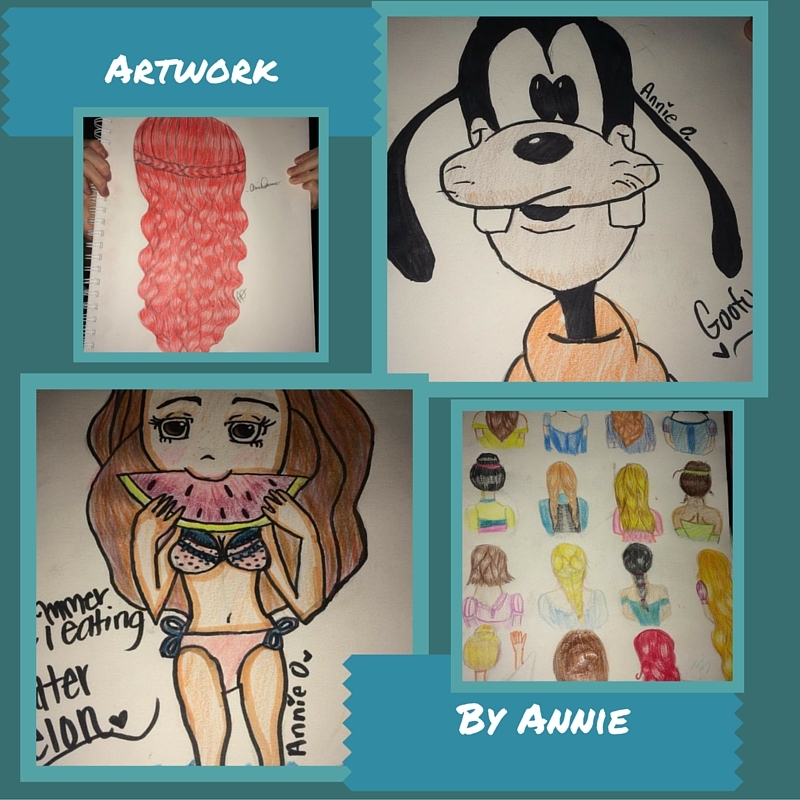 Annie is quite the artist too! What a sweetie! I just love hearing stories like this. Thank you for sharing! That story moved me to tears! What an unbelievably amazing young lady! Beautiful story! Her drawings are amazing and i am so happy that she is doing great! so inspirational. What an inspirational story! I am thrilled to see that she has turned into a wonderful teenager! You are one strong mama! Thank you for sharing. What an amazing story! It is wonderful to hear the stories of these babies and how they’ve thrived! What a seriously adorable young woman and AMAZING story. Absolutely amazing. These shares are always so inspiring. I am so happy for her and her family. What an INCREDIBLE story. 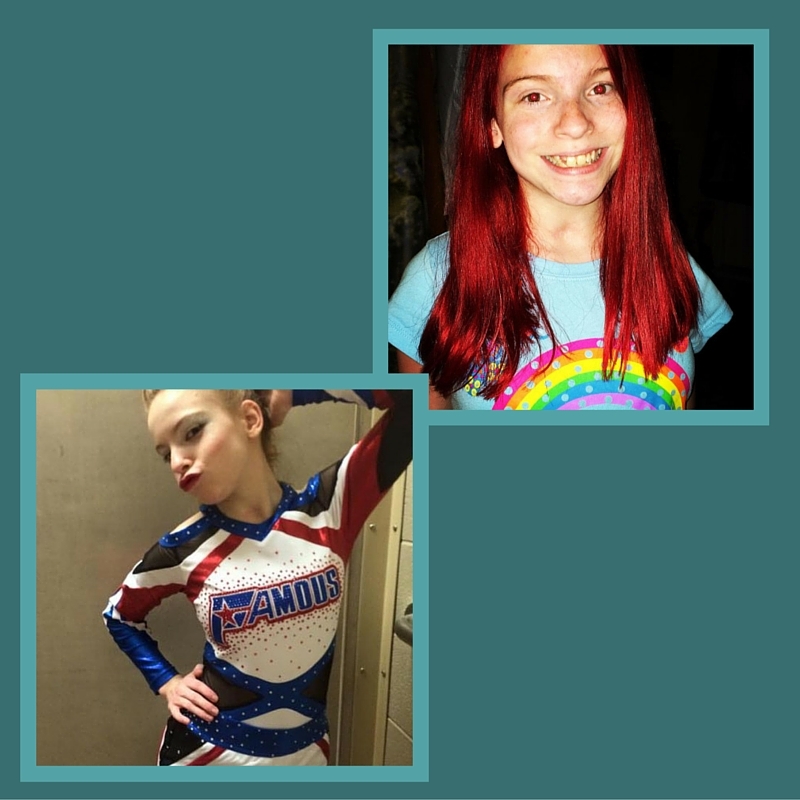 To have been diagnosed and admitted and operated on that many times and to have a thriving, fiery teenager? Wow!!!! This story is profound. Thanks for sharing, Shann! Such a talented and beautiful young lady. Thank you for sharing her story, a reminder of how precious life is. Oh my goodness, Annie was so tiny. She is one tough cookie! God has a plan forr this special girl. I can see why Rosie is bragging about her…she’s an awesome young lady and a great role model! Thanks for sharing Shann! Have a great week hun! What a lovely story to share. It must have been so very hard at the beginning, but a beautiful young lady has now emerged. She is a beautiful miracle! What a strong mother and daughter! Wow, how cool! I love that nothing can hold Annie back now. I can’t imagine how scary it must have been to be with her in the NICU, but this gives me so much hope for those babies! Wow! What an inspiration. I know a few parents of preemies that aren’t quite that far along in their journey yet, but this story is very encouraging! She is quite the inspiration and such a talented artist! It’s incredible what the families of micro preemies are. I can’t imagine not being able to touch my baby!